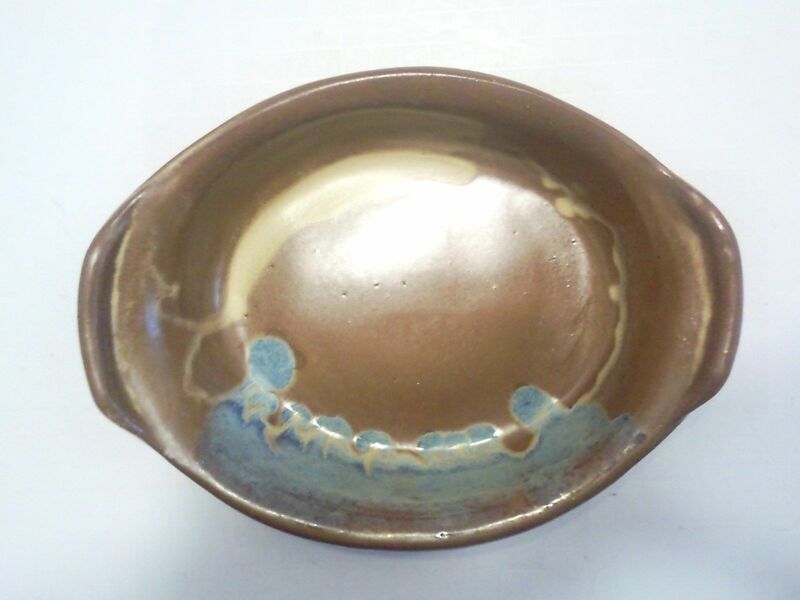 Red Leaf Pottery, Arcola Mississipi, Bowl Glased Sandstone Design, 10" Long. Popularity - 18 views, 0.3 views per day, 56 days on eBay. Good amount of views. 0 sold, 1 available. 18 views, 0.3 views per day, 56 days on eBay. Good amount of views. 0 sold, 1 available. Seller - 1,669+ items sold. 0.5% negative feedback. Great seller with very good positive feedback and over 50 ratings. 1,669+ items sold. 0.5% negative feedback. Great seller with very good positive feedback and over 50 ratings.